Serviceberry is an ITSM Solutions company with primary focus on serving enterprises who are looking to improve their IT Service Management capabilities. They serve diverse markets including India, Americas, Europe, Middle East and South East Asia. Blufig takes pride in having built corporate websites based on non-corporate themes. Serviceberry believes in speed, agility, teamwork, performance and to reflect these, the website theme was built around the concept inspired by Formula One. One of the key objectives of this program was to alter Serviceberry’s brand perception to that of being a thought leader and early adopter in all things ITSM. 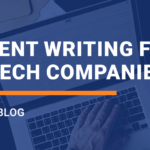 Blufig delivers high-quality thought provoking blogs for Serviceberry week-in, week-out which has resulted in tremendous visibility within customer, employee and partner circuits. Each and every content piece generated is aggressively marketed across all digital channels which includes web, social media, industry forums and partner sites. Today Serviceberry ranks higher than their principal vendors for high-competition, high-volume keywords related to ITSM, ITOM, ServiceNow and Micro Focus; leading to relevant traffic to their website and other digital properties.